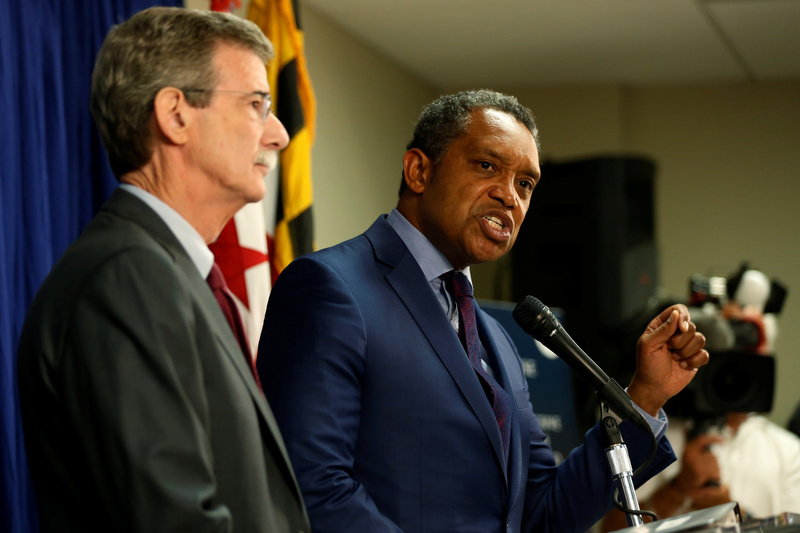 D.C. Attorney General Karl Racine is preparing for a potential lawsuit against ExxonMobil over climate change. Racine’s office alleges Exxon failed to inform D.C. consumers that gasoline combustion contributed to global warming. “Exxon has also engaged or funded efforts to mislead DC consumers” about global warming, Racine’s office wrote. District of Columbia Attorney General Karl Racine is preparing for potential legal battle against ExxonMobil, the world’s largest oil company, for allegedly covering up global warming science from the public. Exxon’s alleged wrongdoing includes failing to tell consumers of its gasoline that fossil fuels contribute to global warming, according to documents from Racine’s office. Racine indirectly acknowledged D.C.’s planned investigation into Exxon in a tweet linking to a solicitation for outside “legal services in support of [the Office of the Attorney General for the District of Columbia’s] investigation and potential litigation against ExxonMobil Corporation” and affiliates. “OAG has determined this conduct should the subject of an investigation or litigation against Exxon to secure injunctive relief stopping violations of the CPPA or other District law, as well as securing consumer restitution, penalties and the costs of any litigation,” reads the document. Passionate about protecting our environment? Join our team! Racine’s office is looking for a senior lawyer, junior lawyer and a paralegal to handle its Exxon investigation. Investigators would work on a five-year contract, with options to extend, in exchange for a percentage of any winnings D.C. may get in a legal settlement or court victory. At least eight other Democratic attorneys general offices have or sought to hire Bloomberg-funded legal fellows. Critics have called this arrangement “law enforcement for hire,” and some offices have tried to withhold information about their Bloomberg-funded fellows. Racine’s office would not say if the Bloomberg-funded lawyer would play a role in the investigation or potential lawsuit against Exxon. “Thank you for your inquiry, however we will decline to comment on confidential enforcement activity,” Racine’s office said in an emailed statement to The Daily Caller News Foundation. If Racine takes Exxon to court, he would join a handful of Democratic attorneys general to do so, including New York Attorney General Barbara Underwood and Massachusetts Attorney General Maura Healey. Democratic attorneys general began investigating Exxon’s climate change stance years ago, prodded by environmental activists and journalists who claimed the company “knew” for decades fossil fuels could warm the planet, but funded groups to challenge climate science and regulations. Exxon has denied allegations it tried to mislead the public on climate science, and today the company supports taxing carbon dioxide emissions and funding for alternative fuels. Racine’s investigation focuses on the oil giant’s alleged disclosures to consumers at gas stations in Washington, D.C. — though Exxon does not own or operate any retail gas stations anymore. “Since at least the 1970s, Exxon has been aware that its fossil fuel products were significantly contributing to climate change, and that climate change would accelerate and lead to significant harms to the environment in the twenty-first century,” reads D.C.’s solicitation for attorneys.